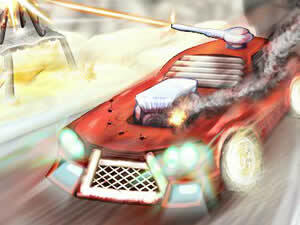 Drive your war vehicle and try to clean the road from enemies. But the enemy cars will try to stop you from making it to your destination so be sure to fire your weapon fast and accurate. You can upgrade your car and vehicle to be faster, stronger and more deadly. Use WASD keys to drive this car and mouse to shoot.